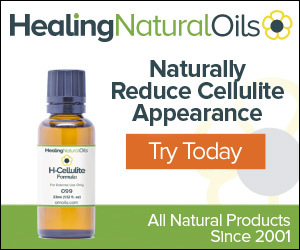 Why does cellulite occur, and how can we diminish it? Many women believe that it is impossible to lessen appearance of cellulite. Most women will develop cellulite, the dimpling of the skin that's usually found on the thighs and buttocks. Why?  Fat - The amount you have between the skin and the muscle determines cellulite's severity.  Aging Muscle mass weakens and the fibrous tissue loses strength as we get older.  Hormones Estrogen aids the storage of fat in the hips, thighs and buttocks in preparation for childbearing. It also makes fat cells sticky, so they bunch together, contributing to the dimpled effect.  Genetics - If your mom has it, chances are you will too. The skin is connected to underlying muscle by vertical bands of fibrous tissue. Cellulite appears when fat cells bulge up against the top layers of skin while the fibrous bands pull down, much like buttons on a mattress; this creates the "cottage cheese" look. Our bodies' lymph system also plays a role; normally it drains fluid from tissues to rid the body of waste, but the trapped fat cells and fibrous tissue can block drainage. This trapped fluid can make the fat swell, adding to the dimpling effect. How can you diminish it?  Eat a good diet. Staying at a healthy weight reduces the chances of cellulite forming.  Exercise. Reduce fat with cardio workouts and increase your strength with weight training to help firm up muscles, which will give skin a tighter and smoother appearance.  Slather on a cellulite cream. These contain ingredients like caffeine to temporarily tighten skin, giving it a smoother, more toned look. Massage in the creams; the rubbing can lessen the swelling and improve lymphatic drainage in the area.  Try Endermologie. This form of deep-tissue massage disperses the lumps of fat into a smoother layer.  If you are not limited on a budget, you can invest in the Cellulite Reduction Device and get rid of cellulite forever.